The three-day San Francisco event focused on making it easier for abortion providers, abortion funders, and patients to connect with each other, despite a political climate that remains hostile to legal abortion access. Women and genderqueer tech professionals made up more than 80 percent of the hackathon’s attendees, who spent Friday night, Saturday, and Sunday in the glow of their laptop screens. What Fleming could do, along with the help of a dozen-person team of software engineers, was develop software that will help the DCAF’s all-volunteer staff connect hotline callers who need help paying for their procedures with the doctors and resources they need. The San Francisco Abortion Access Hackathon made it possible. Fleming had used his tax refund to fly into the Bay Area for the event as just one of the more than 200 software engineers, developers, designers, and tech wonks who convened in San Francisco to do a little industry #disruption—but not the kind that culminates in fancy turtleneck-clad announcements about the next revolutionary $800 mobile device or goofy pair of smart specs. Instead, the three-day “hackathon” focused on making it easier for abortion providers, abortion funders, and patients to connect with each other, despite a political climate that remains hostile to legal abortion access. The 18 resulting tech tools included a virtual doula-style software designed to guide people experiencing pregnancy loss; an anonymous social network-style platform built for users to share their abortion stories; and a fundraising platform that, unlike existing crowdfunding sites that often ban abortion-related projects, is expressly made to help people get the care they need. 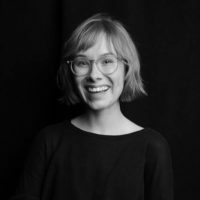 “Feminist voices don’t often lead projects in tech,” said hackathon co-organizer Somer Loen, who helped launch the first abortion access hackathon at the University of California, Davis in 2016. Thanks to what Loen described as “prejudice” against women speaking up in tech spaces and an overall reluctance to engage in social activism within the field, abortion access is one gap that an industry otherwise concerned with problem-solving hasn’t had the inclination to tackle. Women and genderqueer tech professionals made up more than 80 percent of the hackathon’s attendees, who spent Friday night, Saturday, and Sunday in the glow of their laptop screens. Some of their hackathon projects were produced from scratch based on a pre-event survey of challenges faced by abortion funders and providers; others worked directly with specific funds and nonprofits to develop solutions to existing problems. Such was the case with DCAF, whose problem started, as so many do, with an Excel spreadsheet. Clunky and difficult to maintain, the document the organization used in order to track calls and case outcomes was long overdue for a revamp. But software development is prohibitively expensive for nonprofits that operate on shoestring budgets, so Fleming brought a bare-bones beta project to the hackathon in hopes of turning out usable software for DCAF. It worked: The fund expects to start using the hackathon tool, which was in development for more than a year before this weekend, within a couple of weeks. “If you were a company, you could spend as much money as you wanted on this thing, or probably even more than you wanted,” said Fleming. But for nothing more than the $20-per-month cost of hosting their data, engineers like Sara Gilford were able, in a matter of days, to provide custom-coded solutions to the problem of tracking thousands of callers in need. Gilford, a software engineer at a startup in Palo Alto, spent three days with the team building an easy-to-use program that kicks the Excel spreadsheet back to the Stone Age, allowing case managers to pull up the right doctor—say, someone who can provide an abortion at 15 weeks, within 20 miles of a patient’s home—without putting a caller on hold while they dig through Google search results or consult an outdated database. The DCAF project is an open-source tool, which means that other funds can take the code and apply it to their own needs, build upon it, and expand it. And the project had the added and unusual bonus, Gilford said, of providing an opportunity to work on teams that were mostly women, in a collaborative rather than competitive environment. “It almost was like, ‘Oh my god, this is where all the female engineers are, there is where you’ve been hiding the whole time! '” said Gilford. Gilford’s hackathon team member Janine Costanzo echoed the sentiment, saying she’s been looking for ways to have an effect that go beyond attending protests or writing letters to members of Congress.